With a roster of the best musicians in the DC area, Espinoza Music Professionals deliver sophisticated, high-quality musical entertainment for events of all sizes. From solo instrumentalists (piano, violin, saxophone, harp, guitar), string ensembles (trios, quartets), and bands (jazz trios, quartets, big bands, cover bands), Espinoza Music Professionals promise to exceed your expectations. 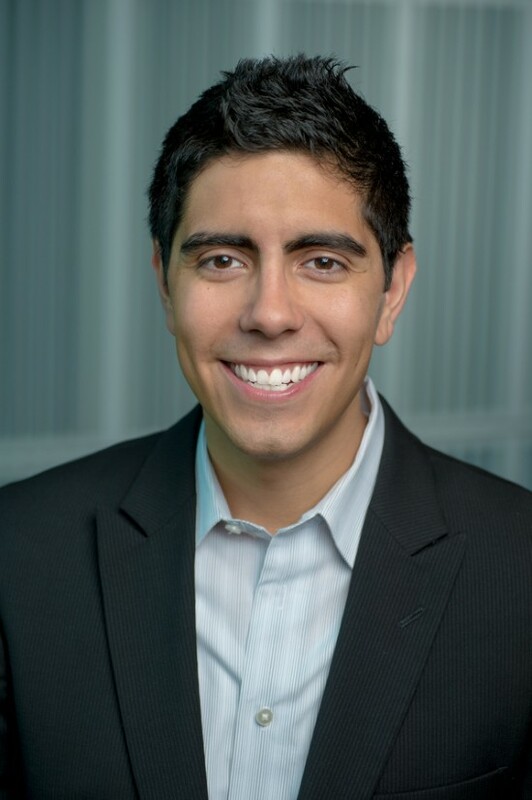 Pianist and music-planner Joshua Espinoza has many years of experience as a performer and music coordinator for weddings, corporate events, and gatherings large and small. He will work with you to tailor the music for your event, down to every detail. Read our reviews to see for yourself! Fantastic pianist who charmed all of our guests with his musical gifts. Josh recently played at a holiday party I hosted. He was courteous, showed up early, and played the entire time. Excellent musician! And also personable. Was happy to take requests and humoresque singalongs. I would hire again in a heartbeat. Amazing to work with, Amazing Performance! Everything about working with Josh and gig salad was effortless and perfect. Everyone was dazzled! Josh helped making our party a success. He played beautifully and provided a perfect timing for the different steps of the party to run smoothly. Thank you Josh!! Josh was fantastic!! We got married in a private home with about 30 guests. It was a very intimate setting. We left everything up to Josh and Emily, the violinist. They were amazing -- prompt, friendly and incredibly skilled. Arrived early and stayed a bit late. Josh knows a lot and plays well... and even downloaded music to his iPhone and played it on the fly. I will hire him again soon! Josh was great at my event. He showed up when he said he would and was ready to start well before my guests arrived. He learned a couple of songs I requested. He was a pure delight! Such a pleasure to work with & a great performer! Cannot say enough good things about working with Josh! He was very patient through the process as we had to work some particulars out with the venue but he was very flexible & always good about checking in & getting right back to us. He sent us his song list right over to review & offers a variety of great tunes. His performance was just perfect & his piano playing set the perfect ambiance for my sister's wedding. He was a delight to work with & a spectacular performer! Josh was a great partner from the beginning with a large repertoire and great suggestions. He can play traditional and contemporary pieces as well as some less expected options. He was prompt, professional and pleasant and everyone raved about how beautiful the music was! Would definitely hire him again and highly recommend. Josh played for our small cocktail gathering and we couldnt have been happier with his profesisonalism, punctuality and artisitic talent. He is friendly, perosnable and was a welcome addition to the gathering. Coordinating with him before he arrived was effortless and easy. Hes terrific, a welcome addition to the gathering. Ive never gigsalas before and it couldnt have gone any better. Bravo. Josh and his band were great! They really made our wedding reception a fun event and we got many comments from guests on the quality of the music. Josh is also a very nice guy and great communicator. Highly recommend! Josh did a masterful job at our event. He provided a great background music with seamless transitions. He was on time and had good communication back and forth leading up to the event. My fiancee and I traveled to West Baden Springs Hotel this past weekend. We discovered the sound of Joshua Espinoza as he played at breakfast in the Sinclair Cafe. His range of songs was broad and diverse and just the right tone for background music as we enjoyed our Saturday morning breakfast. When we went to the 1875 Steakhouse that evening, we were pleasantly surprised to hear Joshua playing there for dinner. You can tell he is an accomplished piano player and just a nice young man who takes his gift of music seriously while the sound of his piano is so relaxing. If you have not heard Joshua play before, check him out! Hi Mitch! Thank you so much for the review! It was a pleasure meeting you both and chatting about jazz! See you around Indy soon, perhaps! He's the perfect pianist for your event!! Joshua played for our wedding reception almost two weeks ago and he did an amazing job!! Everyone was asking who he was and mentioned what a nice, romantic but fun mood his piano playing set. He played our favorite songs and was very respectful of our wishes. He made sure to play the appropriate songs at the right time. And He was on time! He always responded to my emails, calls, or texts very promptly. If you're looking for a great pianist, this is the one! When I googled Pianist in the Noblesville area Gigsalad popped up. I was a little hesitant but my mind was set at ease when Josh gave me his phone number so I could hear his voice. He showed up and did a wonderful job. He couldn't attend the rehearsal but everything went off without a hitch! I would highly recommend Josh for any event. 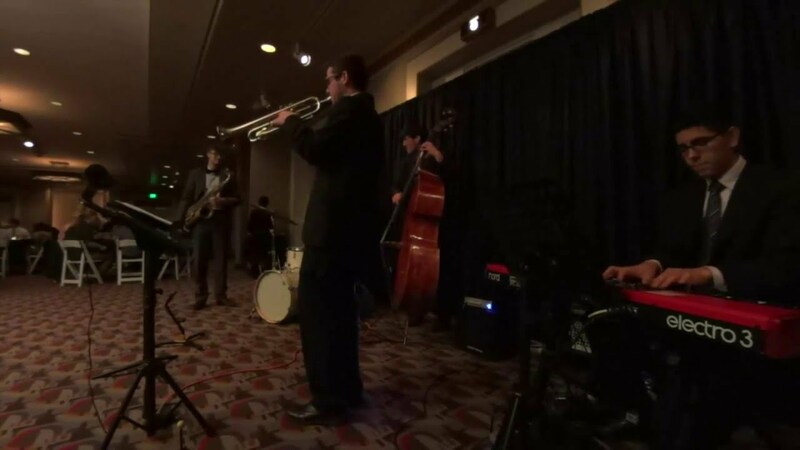 We hired Josh & his band to play at a party for which the theme was a classic jazz club. He did an excellent job playing and was a key to successfully making the theme work! Also, he is very professional and was easy to work with in coordinating before the event. Josh was great to work with at our wedding. He had a good range of pieces of music he knew already and graciously accepted some requests for new songs. He played well and everything went smoothly. We would definitely recommend him! Josh played for both our wedding ceremony and reception. Everyone enjoyed his beautiful music. He was flexible, on time, professional, and plays wonderful music. He should be your first choice when hiring a pianist. Josh was a hit at our holiday party! Everyone enjoyed the cheerful ambiance created by his music. We will definitely be using him again when needed! Josh recently played for a conference group of mine made up of Indian delegates visiting our campus. He was wonderfully talented and professional in every way. I very much appreciated Josh’s timeliness in responding to my emails and his prompt arrival to our event. I would recommend him for any of my future events. Josh was great. My husband and I did not have a clear picture for what we wanted played at the wedding. Josh was able to meet with us ahead of time and go over a few songs and play them for us. We really appreciated him taking the time to meet with us! Josh played a variety of music for us while we visited with new and old friends. He was very personable and accommodating to everyone at the party. We wanted just background music, soft and soothing. That's just what we got. I think the feedback was nothing but positive. What a wonderful treat it was to have Josh with us for the evening. Josh did a great job at my wedding ceremony. I loved working with him before - he was very helpful in helping me select great music that fit my ceremony. The day of he played wonderfully and worked so well with my friends who were singing with him. All in all, I highly recommend Josh to anyone looking for great piano music!! Josh was hired to sub for a service at Unity of Bloomington. I am a vocalist at Unity of Bloomington and had the pleasure to work with him this week. There were several pieces of music in many styles that he had a few days to prepare for. The service went smoothly and I heard many compliments about his playing. I have been accompanied by a great many pianists over the years, and Josh ranks among the best. I sincerely hope to work with him again. I was a pleasure to have Josh play at our annual Chemistry Honors Banquet. The music was beautiful and was the perfect background for the beginning of the event as well as the meal. There were several parents who came up after the event to let us know how much they liked the music. We were overall very pleased with Josh's performance. Josh played piano during a cocktail hour at our recent conference. His jazz repertoire really helped us set the mood for our event. Josh was professional, conscientious and flexible, not to mention very talented! I've had the pleasure many times to here you play, I am amazed at your talent to be so young. Thank you for sharing your God given gifts of talent with the world. You are awesome. Always looking forward to the next time I get to listen to you play. Review by John S. B. You were the perfect dessert at the end of the Faculty Spring Banquet meal last night. It was gratifying to see your professional demeanor, confident presentation, and talented delivery -- signs of seasoned performers and good training. Thank you for adjusting to my request to make your segment slightly shorter. Here again, your flexibility spoke to your professionalism. I loved listening to you and look forward to seeing how your careers unfold. You have promising futures. Josh is a consummate professional and has provided music for several of our private events. I've always found him to be polished, professional, and highly talented. Josh's interactions with staff and guests are all gracious, adding to the quality and class of the event. Review by Cynthia M. . F. D. M.
Josh and his fellow musicians performed as a 5 piece jazz group for the Girl Scouts of South Carolina - Mountains to Midlands, Desserts First, fundraising event. Their were approximately 160 folks at the Marriott - Greenville in the Ball Room. I was extremely impressed by the professionalism as we discussed and booked Josh's services, only to be totally blown away by their talent. The music was a big part of keeping the tone up-beat and yet not too loud. It was simply perfect. Josh understood the script with grace and professionalism. I have received nothing but high praise for their performance. In fact, the committee chair of this event wants to book them for next year...which we will do!!! Josh performed for 60 guests at my Father's 90th Birthday Party at the Poinsett Hotel. The genre of music, the 40's big band sound, perfectly reflected my Father's style and taste. Josh accommodated our song requests as well as recommending songs that would fit the occasion beautifully. Josh was easy to communicate with and responded promptly during the planning stages leading up to the party. He arrived early to set up, was organized and prepared. Guests enjoyed interacting with him. Josh was extremely professional, appropriately attired and smiled his beautiful smile all evening long! I highly recommend Josh and look forward to another opportunity to engage his talented services. Josh played for the Furman University Ring Ceremony. He exceeded every expectation we had! I provided him with an outline of the event. He listended carefully, understood our needs and planned the most beautiful music for our ceremony. He is a stellar young man whose professionalism is only outweighed by the expertise of his tallent! Performed for our resident Christmas Party at the Carlyle Apartment Homes and we loved him and the music. He was like a part of our family here from the word go! I would refer him to anyone in need of a performer and for any event. On a personal note we had a wonderful time and look forward to seeing you again soon! Josh entertained guests at a black tie fundraiser with his delightful renderings of jazz standards. I've seen Josh tear it up in clubs as well, but in an intimate setting he calibrates his playing to fit the mood and the crowd. Of course he takes requests, and he can improvise to add to what's happening in the room. 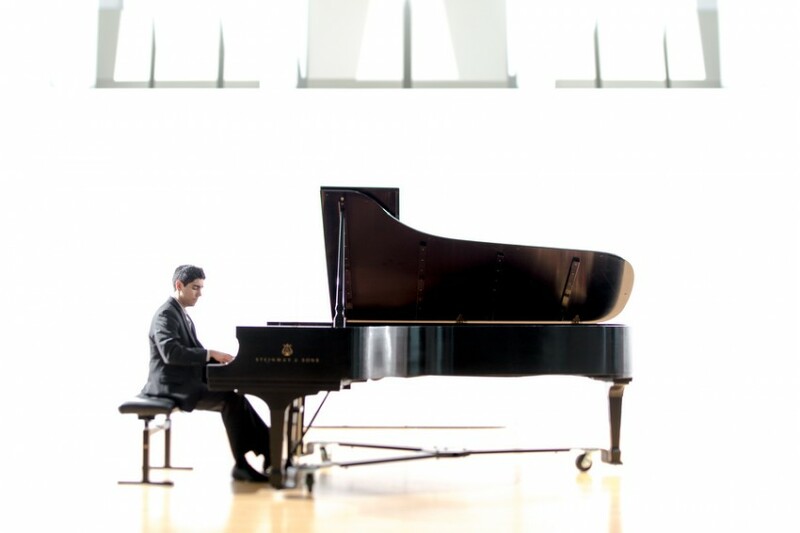 It's amazing how much of the American song catalog this young man has mastered, especially when you consider that his day job is tackling the classics like the Debussy virtuoso show piece which brought down the house at the recent Senior Honors Recital. Our guests were not only entertained by Josh's music, but when he takes a break and mingles with the crowd, you realize that you're in the presence not only of a great talent, but a warm, intelligent, and genuinely interesting young man with a great sense of humor. I highly recommend him if you're looking for a musician who can make your evening really special. Josh played for President Smolla's staff appreciation luncheon at Furman Univeristy. This was a grand event that takes place every year for staff at Furman with 20 plus years of service. Because of the event we wanted a very talented person to honor us with their music. Josh did an excellent preformance for about 45 people on this day. Everyone was delighted to hear him play the piano so perfect. We highly recommend Josh for his talent. Excellent. I had the divine pleasure of attending Josh's Honors recital in the chapel of Furman University and he was absolutely SPLENDID. He chose a very complex piece with many changes and he made it seem like a walk in the park--effortless for him. It was so very beautiful. I was so impressed and the crowd of more than 300 roared with me. Josh received the most thunderous applause of the evening. It is my pleasure to hear this young man play and to witness his ascent toward achieving whatever dreams he holds. He is obviously quite dedicated and committed to his craft, and he is BRILLIANT. Bravo, Josh! Josh is a phenomenal talent. He not only plays by ear and can pick up any piece quickly, but he reads and writes music as well, and when sheet music is not available, he creates his own! He had to do much of this for a gig I asked him to play with me since some of the songs I chose are obscure jazz songs from the 40s and 50s and he played them brilliantly. He is uber-professional, easygoing, and did I mention his playing amazes me? Yes, I'm gushing, but I do not exaggerate. You can not go wrong to hire him for any event as he could never disappoint. This young man is the truth! Josh will tailor his music to your needs. Whether you want him to blend into the background for a sophisticated cocktail party, or take center stage with a full band, he can make your event an evening to remember! 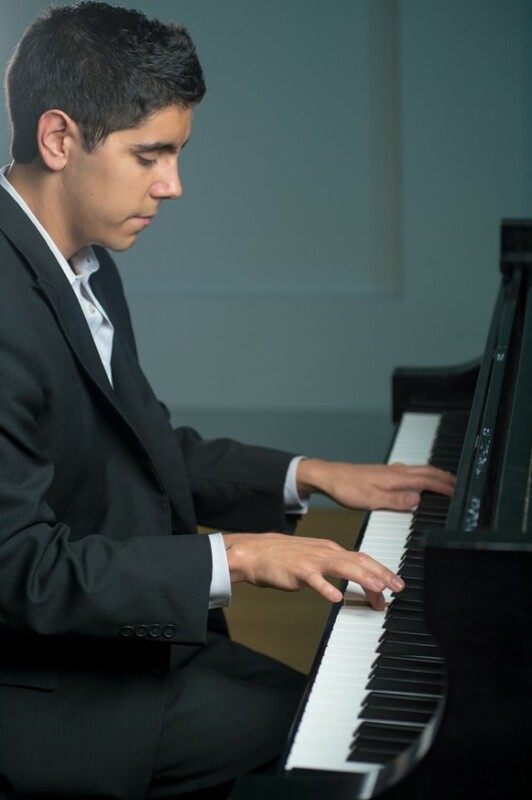 As a solo pianist and band leader, Josh can provide music of any genre, from Jazz and Classical to Pop and Broadway. He is a highly experienced and well-trained musician that can meet the needs of your event without hesitation. Josh is happy to answer any questions or alleviate any concerns you may have before hiring him, so don't hesitate to ask!